The Boyz announce their official fandom name! The official fandom name for The Boyz has been announced! On April 3, The Boyz shared the announcement via the group's official fan cafe. "Hello, this is the rep of The Boyz. We appreciate the fans who give great support for The Boyz. Along with their comeback, we want to announce The Boyz' official fandom name. <The B> is short for 'The Boyz' Vitamin'. 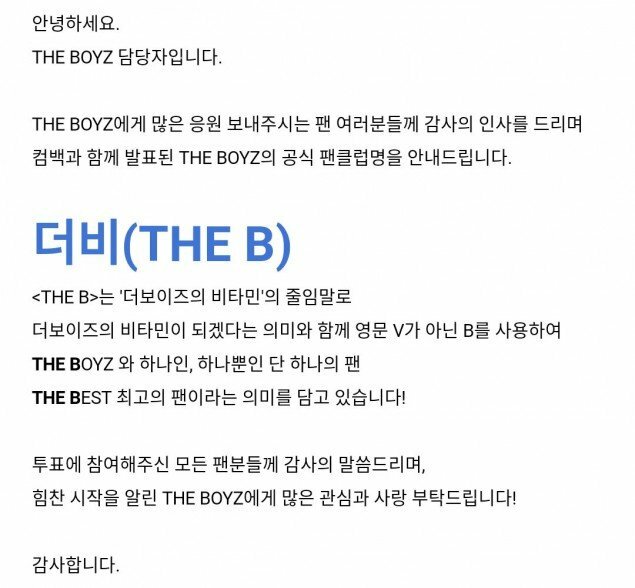 In order to become the one and only The Best fan for The Boyz, we will be using the letter 'B' instead of 'V'. We appreciate all the fans who participated in the voting. Please give great attention and love for The Boyz who are on a strong start! 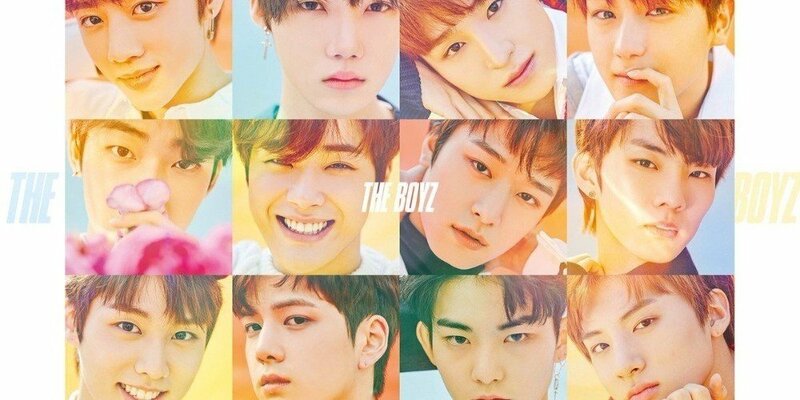 Fans of The Boyz are now officially The B. How are you liking the fandom name?